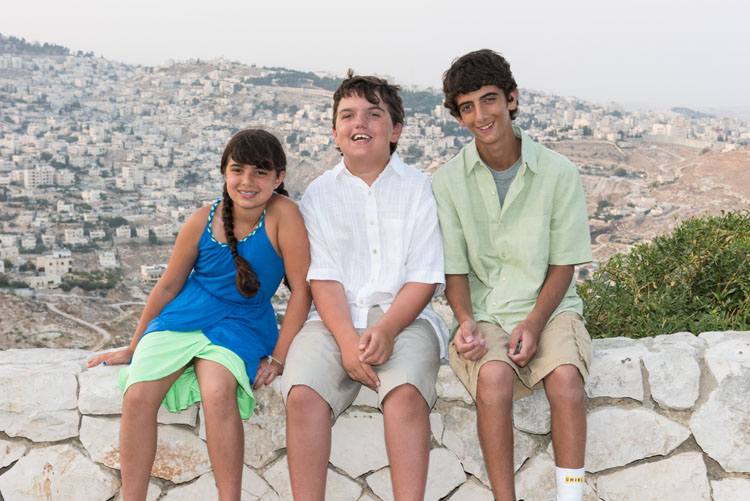 Last February, Lisa shared a story on Kveller about her three unique children, and how she and her husband are helping each of them plan for a bar mitzvah experience that meets their individual needs. For Lisa’s son Alec, this means a deep consideration of the developmental challenges that make the bar mitzvah service a challenge. 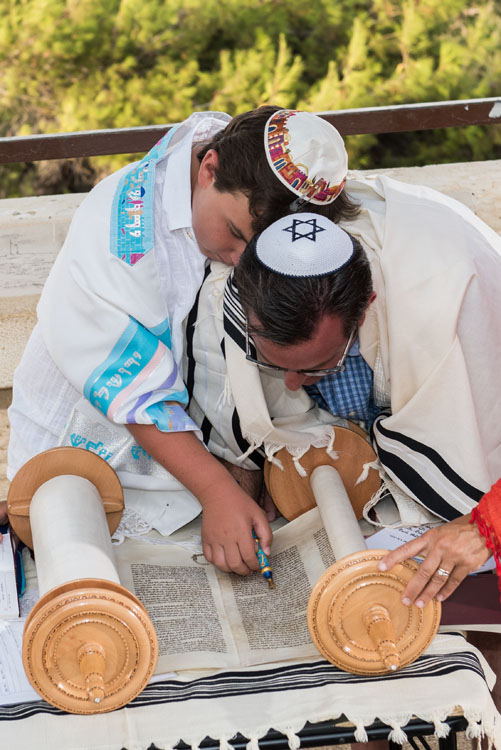 Now, six months later, Lisa is back to share with the Kveller community just how special Alec’s Israeli bar mitzvah was. On August 3, my son Alec was called to the Torah on a perfect day in Jerusalem. The searing Middle Eastern heat gave way to a beautiful breeze right before the start of the service, and then a miracle happened there: The child who I thought would not understand the meaning of his bar mitzvah not only read from the Torah, but marched around beaming brightly with his 100-watt smile as he held the Torah, gently turning to people for them to touch the Torah with their prayer books and tallitot. Alec was focused in a way I had never seen before–listening and leading the service like a pro. He made everyone laugh with his insights, and his pure soul shined through the entire service. Through this experience I understood that everything was going to be OK, even if it would never be “typical.” My son understood the significance of this moment, he took charge of it, and he soared. But what a road to get to this place! A few days before we were to leave on our trip, I had a mild panic attack. Alec had learned to chant his portion by utilizing an app called PocketTorah. But he still was not able to annunciate all of the words (even in English his annunciation isn’t always perfect). In addition, I had only had a few phone conversations and email exchanges with Rabbi David Ebstein, the rabbi who would lead the ceremony for us in Israel. What if this rabbi didn’t gel with Alec? What if he constantly stopped him to correct his pronunciation? What if Alec suddenly shuts down, the day-of? As it happened, Rabbi Ebstein was wonderful. He met with Alec the day before, and they instantly connected. He made Alec feel not only comfortable, but proud and excited, too. Alec helped lead the Ashrei prayer, and then after his Torah portion he read a d’var torah that he wrote himself (with a little help from a G-dcast film he watched that helped him understand the meaning of the portion). It was simple, to the point, and perfect. During the Torah service, Alec laid his head on his dad’s shoulder and they jointly held the yad while my husband chanted. The sun glistened and reflected off of the rooftops of Jerusalem and turned everything golden, which was the perfect complement to our golden moment. At the end of the service, when Rabbi Ebstein asked Alec what he would remember most about his trip to Israel, Alec replied with a twinkle in his eye, “reading from the Torah.” I knew then that all of the hard work was well worth it; we had helped nurture my son’s soul.